(Nicholas Jones) This article is an overview of how we are controlled by technology - from having our brainwaves deliberately changed en masse by transmitters regulating our state of consciousness, to how we are victims of electromagnetic waves disrupting the state of our health and finally how many of us will die, as decided by our global masters. Collectively, these waves are called "The Schumann Resonance," the current strongest at 7.8 Hz. These are quasi-standing extremely low frequency (ELF) waves that naturally exist in the earth's "electromagnetic" cavity, the space between the ground and the ionosphere. These "earth brainwaves" are identical to the spectrum of our brainwaves. The intended wattage is 1,700 billion watts of power. A former govt. insider deduced they want to flip the world upside down. Sixty-four (64) elements in the ground modulate, with variation, the geomagnetic waves naturally coming from the ground. The "earth's natural brain rhythm" above is balanced with these. GWEN transmitters have many different functions, including controlling the weather, mind, behavior and mood control of the populace. They are also used to send synthetic telepathy disguised as infrasound to those victims of US government mind-control implants. The internet website: www.cuttingedge.org, published an expose on how the major floods of 1993 in the Mid-Western United States were instigated by these systems. How does this happen? The damming of the vapor rivers creates a river of electricity flowing thousands of miles through the sky and down to the polar ice-cap, manipulating the jet-stream. Again, these two major rivers flooded, causing agricultural losses of $12-15 billion. 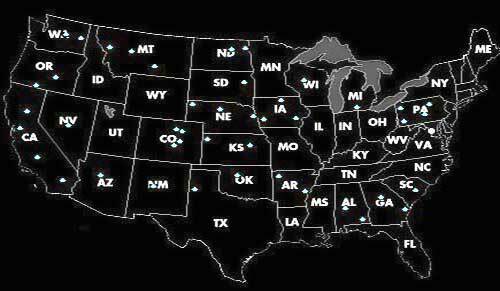 HAARP also produces earthquakes by focusing on the fault lines. GWEN Towers are positioned on the fault lines and volcanic areas of the Pacific Northwest. Dr. Andrija Puharich (in the 1950 & 60s), found that a clairvoyant's brainwaves turned to 8 Hz when their psychic powers were operative. In 1956, he observed an Indian Yogi controlling his brainwaves, deliberately shifting his consciousness from one level to another. Puharich trained people via bio-feedback to do this consciously, that is, creating 8 Hz waves with the technique of bio-feedback. A psychic healer generated 8 Hz waves through a hands-on healing process, actually alleviating that patient's heart trouble; the healer's brain emitting 8 Hz. One person, emitting a certain frequency, can make another also resonate to the same frequency. Our brains are extremely vulnerable to any technology that sends out ELF waves, because they immediately start resonating to the outside signal by a kind of tuning-fork effect. Puharich made ELF waves change RNA and DNA in the body, breaking hydrogen bonds to make a person resonate at a higher vibratory rate. He really wanted to go beyond the psychic 8 Hz brainwave and attract psi phenomena. This Russian "Woodpecker" signal was traveling across the world from a transmitter near Kiev. The US Air Force identified 5 different frequencies in this compound that the harmonic Woodpecker was sending through the earth and atmosphere. In 1901, Nikola Tesla, Nobel prize winner in Physics (shared with Einstein) revealed that power could be transmitted through the ground using ELF waves. Nothing stops or weakens these signals. The Russians retrieved Tesla's papers when they were returned to Yugoslavia after his death. In Mexico, Puharich continued to monitor the Russian ELF wave signal and the higher harmonics (5.340 MHz) in the MHz range. He was somehow induced to work for the CIA and he and Dr. Robert Becker designed equipment to measure these waves and their effect on the human brain. Puharich started his work by putting dogs to sleep. By 1948/49, he had graduated to monkeys, deliberately destroying their eardrums to enable them to pick up sounds without the eardrum intact. He discovered a nerve from the tongue could be used to facilitate hearing. He created the tooth implant that mind-control victims are now claiming was put in by their dentist, unbeknownst to them, and causing them to hear "voices in their head.' These were placed under caps or lodged in the jaw. Implants are now smaller than a hair's width and are injected with vaccine and flu shots. Millions have had this done unknowingly. These "biochips' circulate in the bloodstream and lodge in the brain, enabling the victims to hear "voices' via the implant. There are many kinds of implants now, and it is estimated that 1 in 40 people are recipients of these tiny implants due to alien abductions. However, others have suggested that one in 20 might just be a more accurate statistic. The fake alien abduction - these revealed by many victims - are actually engineered by the U.S. military, using advanced technology to create holograms (4th dimensional pictures) or holographic spaceships outside. This holographic, advanced technology can actually create a scenario whereas the person believes he/she is going into a spaceship. However, once inside, the aliens are in masquerade; they are actually military personnel outfitted in full costumes, masks et al.. Certainly real abductions occur, however, the "alien abduction" scenario has been most useful to the military in confusing the over all issue. This clouding tends to halt any further investigation into a government participation and inevitably absolves them of any accountability. They are banking on the poor helpless victims feeling too intimidated to reveal such a shocking episode, lest ridicule be visited upon them. Are the global masters forcing us to respond to an artificially induced vibratory rate? Those power mongers who want this planet to have a sudden leap in evolution, populated only by the psychically aware and therefore superior class of human? What about the billions of people who are commonly referred to as "useless eaters"; are they to be conveniently disposed of by electro-magnetically-induced cancers and diseases? It certainly causes one to stop and ponder this catastrophic situation. The physics and engineering behind electromagnetic disease transmission are frightening. Diseases can be reproduced as "disease signatures" in that the vibration of a disease can be manufactured and sent on to be artificially induced. (The brainwave pattern of hallucinogenic drugs can also be copied and sent by ELF waves to induce "visions"). Once diseases are sprayed in the air, electromagnetic waves attune to the disease by using harmonics and sub-harmonics, which in turn make them even more lethal and infectious; actually a more apt description would be deadly, as in inducing death. The skies are filled daily with chemtrails, those crisscrossed white patterns that are sprayed out across the heavens in the United States and other countries. Are these like contrails that jets emit behind them? Not exactly... contrails dissipate rather quickly, but the chemtrails - those feathery streaks that linger - are deliberately being sprayed and contain insidious chemicals (retrieved, analyzed and proven) which affect the state of consciousness, producing apathy. This is only one "program" that has been initiated to keep the populace in a continual apathetic state. Add to this, the fluoridation of the drinking water, aspartame nutri-sweet, etc., and other highly-questionable drugs. Fluoride disables the willpower section of the brain, impairing the left occipital lobe. Both fluoride and selenium (in additional amounts) can produce strange effects; one common symptom is that of "hearing voices'. Some chemtrails have been analyzed under laboratory conditions, the elements shown to cause cleavages in spatial perceptions, blocking the interaction of various amino acids that relate to higher-consciousness. Some were also shown to increase dopamine in the brain thereby producing a listless, euphoric state of lower reactive mind. This is done to basically create confusion, rendering a person unable to differentiate between the real and illusionary. In addition, some of these chemtrails could be connected with the many UFO abductions occurring on a global massive scale. Intelligence agencies are in league with each other, behind this disablement of the masses to such a degree where they can't even fight back. In order to implement their plans, that of total control of the populace, they need the overall "frequency" of each victim to function at a specific rate, below the threshold of awareness. Stimulants ingested globally from higher-caffeine, genetically modified plants, may also make an impact on the "global-brain" in the ionosphere that is collecting our brainwaves. New-age channelers say we are going into a 4th dimensional frequency. They "heard' the voice of some "ET" who informed them of this. However, some "ETs" are just plain earthians in disguise. Using Tesla Technology, Prisoners in the Utah State Prison were bombarded with voices from a "purported" ET, each prisoner receiving the same identical message. Curious, indeed. Today, it is relatively simple to produce these "voices in the head." Implants/microchips are no longer necessary. I then began to hear voices, right in my inner ears and just as vividly as though I were listening to a set of stereo headphones. The end result is that I am now having my brain monitored by an omnipotent computerized mind reading or scanning machine of some sort." Hundreds of inmates at the Gunnison Facility of the Utah State Prison and the State Hospital were subjected to this brand of mind-control, used as test subjects like rats in a lab. In the early 1970s, this was revealed in the Utah U.S. District Court. Tim Rifat of UK wrote that "this inter-cerebral hearing" is used to drive the victim mad, as no one else can hear the voices transmitted into the brain of the target. Transmission of auditory data directly into the target's brains using microwave carrier beams is now common practice. Instead of using excitation potentials, one uses a transducer to modify the spoken word into ELF audiograms that are then superimposed on the pulse modulated microwave beam. "Russian satellites, controlled by advanced computers, can send voices in one's own language, interwoven into natural thoughts. They can target the population of choice with this diffused artificial thought process. The chemistry and electricity of the human brain can be manipulated by satellite and even suicide can be induced. Through ferocious, anti-humanitarian means, the extremist groups are fabricated, the troubles and bloody disturbances are instigated by advanced tele-means via Russian satellites in many countries in Asia, Africa, Europe and Latin America." Another source says that these have been fed with the world's languages and synthetic telepathy will reach into people's heads making people believe God is speaking to them personally to enact the Second Coming, complete with holograms! The Russians broke the genetic code of the human brain. They worked out 23 EEG band-wave lengths, 11 of which were totally independent. So if you can manipulate those 11 you can do anything. NSA's (U.S. National Security Agency) Cray computers can remotely track people just by knowing the specific EMF waves (evoked potentials from EEGs in the 30-50 Hz, 5 milliwatt range) of a person's bioelectric-field. Each person's emissions are unique and they can remotely track someone in public. Now if this isn't a horrifically frightening thought, I don't know what is. He claimed that electromagnetic radiation waves were carried by the ether and the ether was disturbed by magnetic lines of force. The hidden component is called only "potential' now and not normally used except for covert hyper-dimensional physics and to manipulate consciousness itself via electromagnetic-waves covering vast areas of the planet. Approximately one person in 3000 is sensitive to this magnetic waveform component, the telepathic types, (according to a writer called "Majix"), and we are all capable of tuning into this magnetic component by tuning our subconscious to it. Maxwell's successors thought potentials were akin to mysticism because they believed fields contain mass which cannot be created from nothing. This is what potentials are - both literally and mathematically - an accumulation or reservoir of energy, consequently this hasn't been taught in mainstream physics. The researcher Majix says our brains are so sensitive, that they are like liquid crystal in response to the magnetic component of the earth. We are sensitive to earth’s magnetic changes, changes in the ionospheric cavity and resonate those frequencies ourselves. We are incredibly complex entities, beyond the layperson's comprehension. Our brains are indeed a type of bio-cosmic transducer. Physicists in Russia have conducted in-depth studies on the effects of the mean annual magnetic-activity, electro-magnetic and electro-static fields on human behavior and the physical body. These electromagnetic and electro-static fields can be likened to what is popularly known as biorhythms. These magnetic frequencies can be manipulated from a very simple piece of equipment operated at extremely low power levels; our brain waves can mimic magnetic frequencies. In Let’s Talk MONTAUK, Joyce Murphy presented data that showed that experiments on the 410-420 MHz cycle have been done which could affect the "window frequency to the human consciousness" as a whole. More info on this is available on the internet website. Preston Nichols, previously mentioned herein, learned from his experimentation with his radio equipment that whenever a 410-420 MHz cycle appeared on the air, a psychic's mind would be "jammed," finally tracing the signal to Montauk Point and the red and white radar antenna on the AF Base there." Dr. Nicholas Begich, an expert of HAARP, has picked up 435 MHz signals connected to HAARP and that a mind control function is currently being employed. He claims that 400-450 MHz is the window to human consciousness because it is our present day reality’s background frequency. 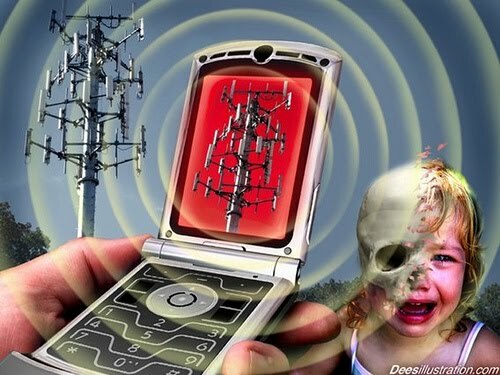 Tim Rifat wrote in his Microwave Mind Control in the UK article that cellular phones use 435 MHz. The United Kingdom police use 450 MHz exclusively. Dr. Ross Adey used this frequency for CIA behavioral modification experiments. Police have a vast array of antennae to broadcast this frequency all over UK. Adey used 0.75mW/cm2 intensity of pulse modulate microwave at a frequency of 450 MHz, with an ELF modulation to control all aspects of human behavior. 450 MHZ radar modulated at 60 Hz greatly reduced T-lymphocyte activity to kill cultured cancer cells. Through much study and analysis on this varied topic, independent scientists have concluded that HAARP is slicing up the ionosphere - the world-brain - like a microwave knife, producing long tear incisions and destroying the membrane that holds the reservoir of data accumulated of all earth's history. However, there can be hope if we are aware of all the possibilities that exist. A healer called Mr. A claimed to have received "Ancient Wisdom" from the earth's protective Magnetic-Ring of energy which stores within it all knowledge since time began. Ruth Montgomery wrote about this healer in Born To Heal. He claimed that if our energy flow is cut off from this magnetic field, (the protective atmospheric magnetic-ring) then the Universal Supply is obstructed and we are no longer in tune with these advantageous frequencies, therefore we begin to get sick. The waves from The Ring were automatically translated into words in the healer's mind and interpreted as wisdom to diagnose and heal others; this ability coming from the storehouse of knowledge that has been present since the beginning of time. By tapping into this storehouse, he produced instant miracles, knitting broken bones and removing arthritis. A photo was produced that displayed forked lightning emitting from his fingers. That which we term "reality" - as understood mentally by our thinking processes - is being altered and changed into different expressions to allow complete control of our personal reality - a complete absolution of that which has been normally operative in a divinely ordained, natural frequency. We must not allow them to succeed because of the global masses' ignorance of this very advanced technology. These elevated scientific methods have been suppressed for many years and only those very few people in power have been privy to this information and obviously used it with no "good intention" in mind. Do you want to be turned into a zombie, a robotic, controlled entity walking around in an apathetic state, or do you want to live life as a vital, vibrant human being... as the Divine Creator intended for you?